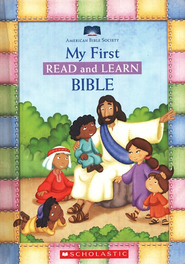 Hurlbut's Bible Stories have introduced generations of children to the Bible. 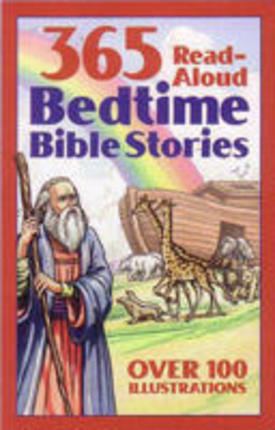 Exciting, true to the Word...now these stories are arranged so that your child can go through the Bible in one Year. I was disappointed when I discovered that this does not quote from the King James Version of the Holy Bible. For example, in the story of Cain and Abel - when the Lord asks Cain where his brother is, the King James Version of the bible reads: "I know not: Am I my brother's keeper?" (Genesis 4:09). In this book it is quoted, as if it is from the bible, but it reads "Should I care for my brother?" This is just one example, but it is the same result in all of the stories. 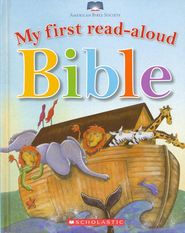 The 365 Read Aloud Bedtime Bible Stories does not say which bible it is quoting from, but it is definitely not the King James Version, I believe it is a modern interpretation. In addition, I found key parts to be eliminated from the stories, once again to use the Cain and Abel story: this book only states that both men gave God a gift, and God was happy with Abel's gift, but he refused Cain's gift. Never does it explain why God refused Cain’s gift, or that Satan was involved in Cain’s decisions. In my opinion key points of the stories are eliminated. 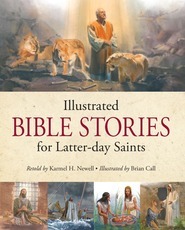 I bought this with the great idea to read with my boys but it just never became a regular thing. My son however, once he learned to read, began reading it every night. Every Primary teacher he has ever had has remarked on his knowledge of the Bible. The stories are just one page and give a brief overview but include enough details that the child learns the story, the gospel principle, and in my son's case, wants to know more. I wish I could find one on the Book of Mormon and Church History.